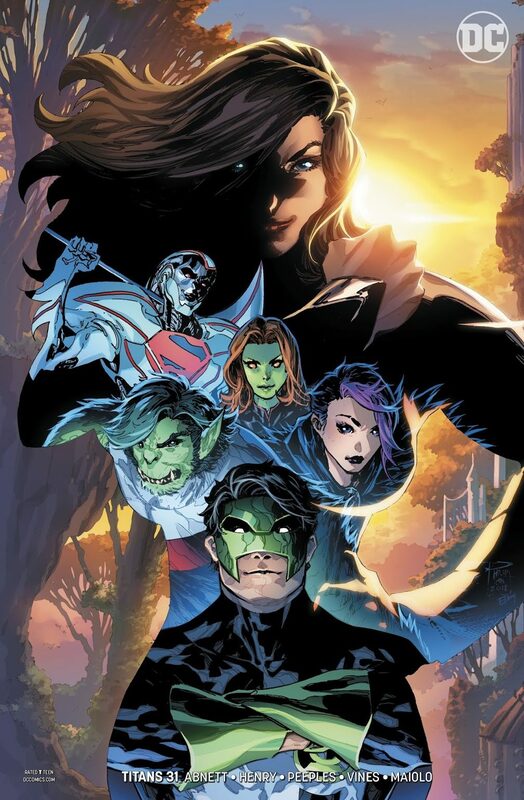 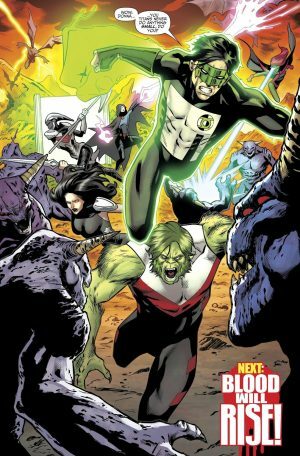 DC Comics Universe and Titans #31 Spoilers follows. 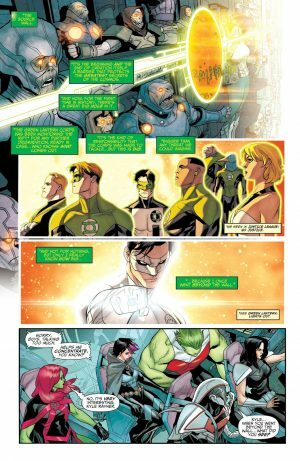 Green Lantern Kyle Rayner Gets Roped In By The Red? 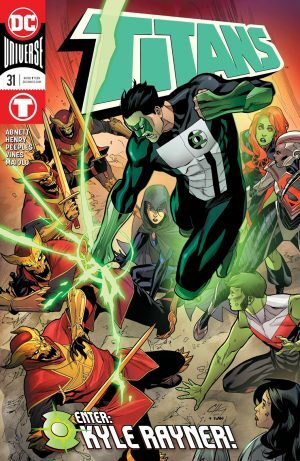 We get a brief run through Green Lantern Kyle Rayner’s origin and milestone events in his life. 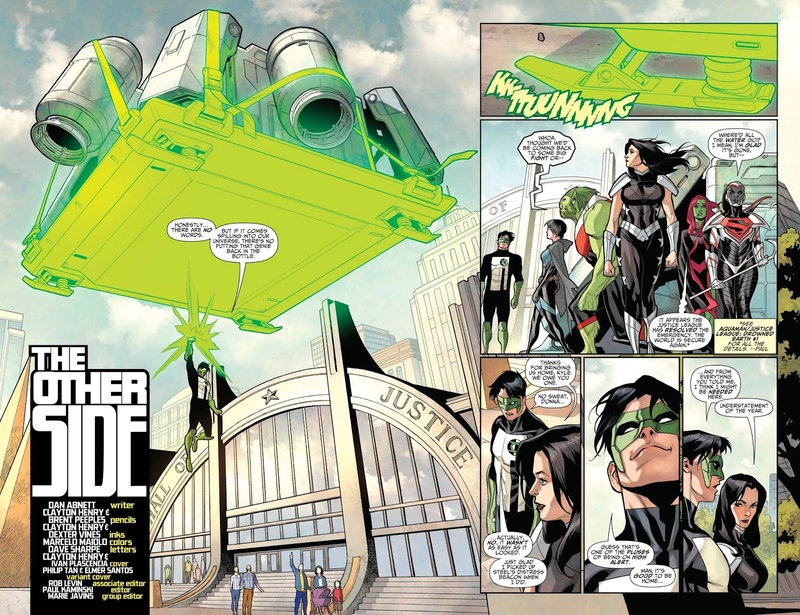 He then brings the Titans back to Earth and the Hall of Justice. 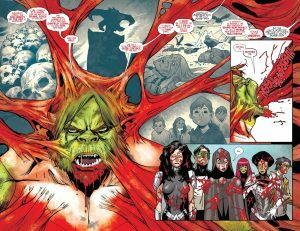 While there, he and the Titans witness Beast Boy / Changling be taken over by The Red, the opposite of the Green Behind Swamp Thing, and it asks for help from impending threat it seems of Sister Blood. …longer than he expected or wanted? !